We have noticed that almost all of our clients are using outdated, old phone systems for their business. Get ready to gear up for new features like extension dialing, customer waiting queues, call conferencing, music on hold, call recording, etc. which are not otherwise available on older PBX systems. Initial investment: While traditional telephone systems are expensive and require experts to install and configure, Cloud PBX is provided to the companies over the internet and is easy to implement in the system. The investment is lower as compared to traditional systems. Stable and reliable: Cloud PBX system can function and maintain access to communicate even in case of power loss or other disasters while traditional phone systems take your business away from communiqué in such cases. Easy to add lines: while in traditional PBX, one channel at a time is added, into the Cloud PBX system, you can add numerous lines through a web browser in your PBX system. You don’t need to pay for the lines that are not used. Get power to work from anywhere: Cloud PBX system integrates with online interfaces and the employees can get instant access to company’s communication systems like web conferencing or chatting, if the internet is available. What new technologies have been developed in the past few years for PBX? 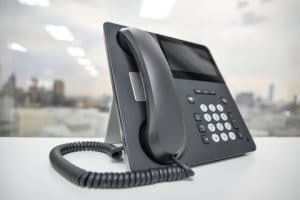 With the development of internet, advanced PBX systems helped in communication between phones, computers and IP phones and the system was cloud based with hosting by a service provider. This technology functioned as an application that provided numerous channels for communication like share data, instant message, video chat, etc. With this new advancement in technology, firms are able to integrate the communication system with other applications. Why should you upgrade and streamline your business? There is no cost of maintenance or ownership with Cloud PBX unlike the traditional PBX systems. It is easy to upgrade and maintain and does not require technicians to add new lines in the system. Updates in the Cloud PBX are automatic and instant. This system knows no geographical bounds and if you are moving your office, you do not need to move entire hardware of the telephone system. Only your IP handset needs to be plugged in and your communication starts. Cloud PBX is less expensive and saves a great deal on your telephone bills as calls within the country branches are free of cost. Upgrade your system to Cloud PBX through Mindtrust service provider and get unlimited advantages with this virtual communication technology that can augment your business level to a great extent.